Computer assisted learning is an increasingly important area of education especially now, in digital era. The past thirty years have seen increasingly rapid advances in the ICT infrastructure development in the educational facilities. However, this is just one part of the aspects needed for modernisation and innovation of education. 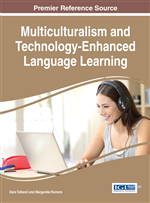 The chapter discusses the situation in Slovakia, its rather well-developed infrastructure but it also points out how important it is to focus on teacher, learner and interaction in any – face-to-face, technology assisted or virtual environment. Numerous studies provide important insights into the situation where teachers have the possibilities and facilities, however, they are not trained to use them effectively. The author brings the survey based on the published studies, research results, statistics and her own experience. Technology is omnipresent in our lives and we have to accept we live in a dot-com era and app world. Čančinov (2015, p. 39) claims that most “of our students are probably digital natives, or residents, but a lot of teachers seem to be to some extent digital immigrants and maybe successful visitors. Every digital immigrant has a chance to assimilate into the world of technologies”. Tapscott (2009, p. 28) in his book Grown Up Digital speaks about baby-boom generation (people born between 1946 and 1964), generation X (1965 – 1976) where most of teachers belong to. People born between 1977 - 1997 belong to the net generation and born after 1998 Tapscott calls generation Next. The vast majority of them are pupils and students now. Figure 1 is based on data published by the Statistical Office of Slovak Republic and presents number of live born children per year in Slovakia (per 1000 of inhabitants). Digital natives use technologies naturally, it is part of their lives when they solve problems they use intuitively and logically use available devices that can help them to solve the problems. Teachers who are digital immigrants and might not be so swift and effective in using all the gadgets use the solutions that are natural for them. Even though teachers are not obliged to use latest technologies, they should accept different ways leading to solving the tasks. It was not sooner than in 2011 when in census statistics the computer skills were surveyed and data collected. The statistics show that more than half (53.8%) of the Slovak population claimed that they were computer literate. Two years later, in 2013 80.1% of households had computers and 77.9% were connected to Internet what confirmed an increasing trend in using computers. The Slovak republic belongs to the average of the EU countries concerning internet access of households. The data represent the status in 2014 (in comparison to 2009). As it has been mentioned, more than 7 out of 10 households have an internet access. The similar increasing trend was recorded in the statistics presenting the data about the school computers per students (see Figure 2). Technology used in a classroom are partly influenced by the country development, its economy and research. It is equally important that the country has its priorities and strategy clearly stated in its documents (see also the parts below to learn more about the current situation). In the period 1999-2006 the national Infovek project was applied in Slovakia with the aim to bring Internet connection to elementary and secondary schools. The change of traditional schools into modern schools of the third millennium by means of ICT was the leitmotif and the main goal of the project. In 2004 reports claimed that until Infovek had been launched the number of computers per pupil was as low as 1 computer per 100-130 pupils. Infovek promised to lower this number to 30 pupils per computer by 2006 and they reached their aims. In 2008 the first one laptop per child was launched. It was realised at the elementary school Trstena in a group of young learners. The positive results are published on the project website1 as well as on the website of the school. Implementing 1:1 computing “refers to academic institutions, such as schools or colleges, issuing each enrolled student an electronic device in order to access the internet, digital course materials and digital textbooks“. (Educational Technology, 2015). One to one requires substantial financial support of the institution and/or the state educational policy.1:1 computing is sometimes contrasted to BYOD – bring your own device, when students have to bring their own devices to the class. We do not have a knowledge that this approach would be applied in Slovakia.